Two female theater masks. 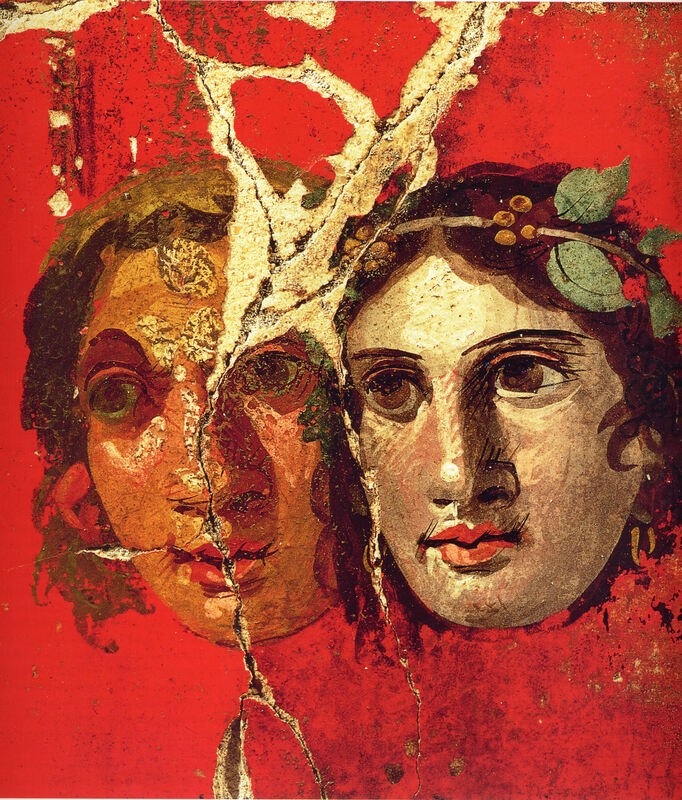 Roman fresco from the House of the Golden Bracelet (VI 17, 42) in Pompeii. 1st cent. BCE - 1st cent. CE. Theatrical masks were found decorating the walls of the living and dining room areas in the House of the Golden Bracelet in Pompeii. Symposia (drinking parties featuring poetry recitations and other entertainment) were often held in these rooms and thus the god Dionysos, god of wine but also of theater, had a prominent presence in the rooms' decorations.